Do you know a rising sophomore or junior who wants more out of high school? Are they eager to grow, create, build, innovate, and serve others? Are they ready to own their learning and blaze new trails? If yes, encourage them to apply to One Stone, an independent, tuition-free high school that is unlike anything else in the nation. Through a student-led culture, design thinking, as well as personalized and project-based learning, One Stone students gain relevant knowledge and skills for life. THE EARLY APPLICATION DEADLINE WAS SUNDAY, APRIL 8, BUT WE ARE STILL ACCEPTING APPLICATIONS. To find out more about One Stone, explore our collaborative learning space, and meet our students and coaches, please attend our next POP-UP.  One Stone is a member of the Northwest Association of Independent Schools and is committed to providing a diverse and inclusive community with equal opportunity for all individuals … at no cost.